From China to Borneo and beyond / Ann Kit Suet Chin-Chan. Auckland, N.Z. : Ann Kit Suet Chin-Chan 2013. Mail order bride / Ann Kit Suet Chin-Chan. Auckland : Ann Kit Suet Chin, 2013. Cry of oppressed women / Ann Kit Suet Chin Chan. 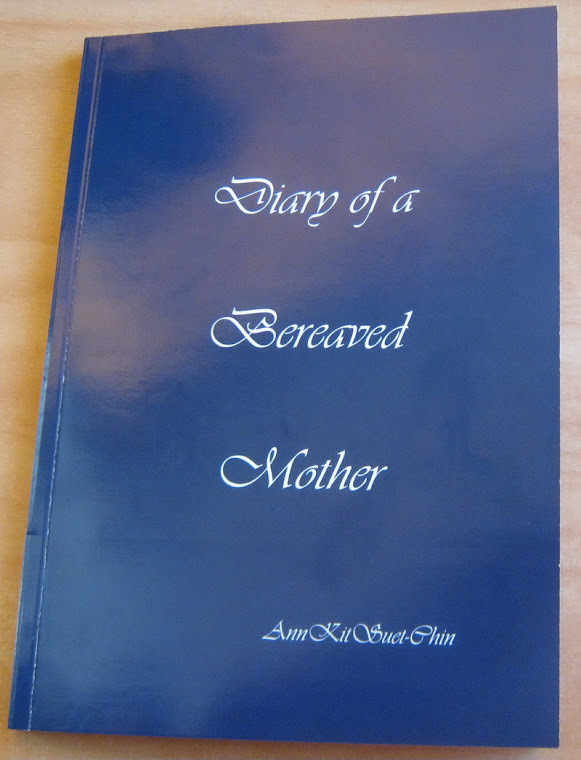 Diary of a bereaved mother / Ann Kit Suet Chin. Auckland, N.Z. : A.K.S. Chin 2011. 2nd ed. Alphabe-Thursday letter N for nest. A little boy's birthday in Heaven. Good sorts: knitted dolls for the needy. A mother's fight for her sick child. tougher rules to stop hunting accidents. A woman of substance, Mdm Leong Soong Foong.